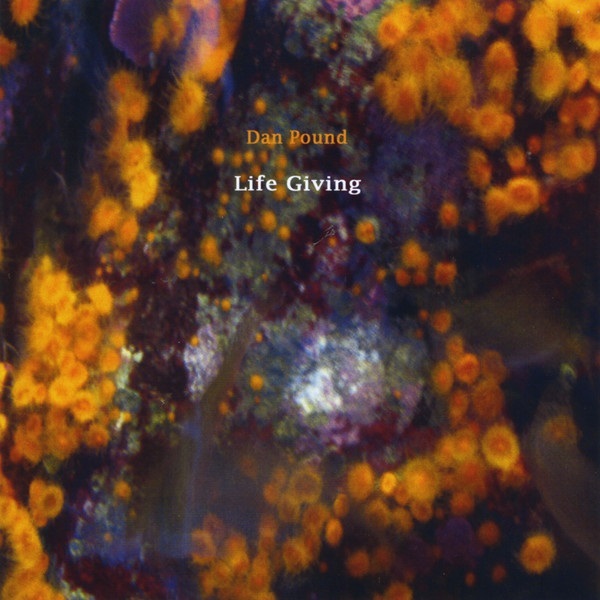 Dan Pound is quite a prolific electronic composer, and I am finding it difficult staying current with his new releases: Life Giving is his second full-length release in 2014. After the time he spent mixing and mastering Thanatos earlier this year, Dan was happy to get back into the studio and create new music. So much so that the music literally leapt off his fingers, acting as a sort of meditation and deep breathing exercise. Each of Dan’s releases that I have heard have a theme, and Life Giving continues this trend. All eight tracks on Life Giving are different explorations into floating ambient bliss centered around biological life. Some tracks have a pulsating undercurrent while Dan employs bubbling sequencers on others. I can easily visualize Life Giving as the sound track to a Nova or similar Discovery Channel program about life and cellular growth. The track titles truly capture the sensation of listening to the music. For example, when I listen to “In Suspension” I can visualize DNA strands suspended in the primordial soup. This entire album is an extremely restful and contemplative experience that mirrors Dan’s time in the studio. I hesitate to label Life Giving as New Age since Dan did not compose it for the purposes of healing or meditation, instead the music documents his state of mind at that time.